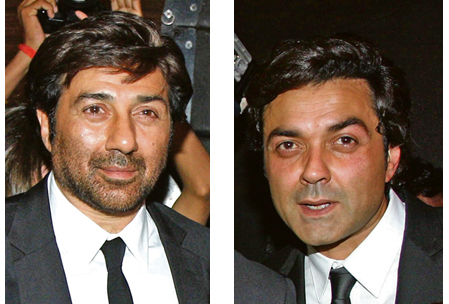 As the ‘who’s who’ of the film fraternity came together for veteran Bollywood actors Hema Malini and Dharmendra’s younger daughter Ahana, the bride’s half brothers Sunny and Bobby were mysteriously absent at all the celebrations. 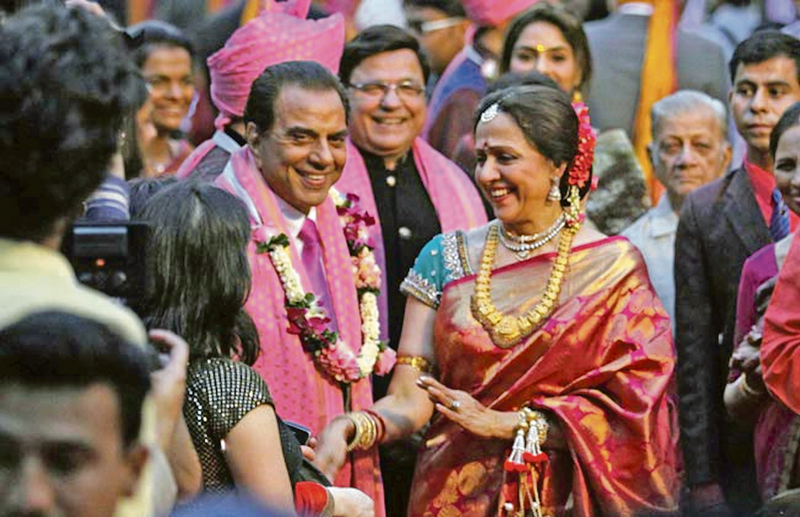 They had also been absent at eldest daughter of Dharmendra and Hema Malini Esha’s wedding in 2012. With this being the first big Bollywood wedding of the year, it was attended by business biggies and politicians including Anil Ambani, who was accompanied by mother Kokilaben and wife Tina. Yoga guru Baba Ramdev was also present on this occasion. Politician Amar Singh, Shiv Sena chief Uddhav Thackeray with wife Rashmi also attended the wedding reception. Whist Bollywood royalty, including Shah Rukh Khan, the Bachchans, Rekha, Shabana Azmi, Jeetendra, Deepika Padukone, Ranveer Singh, Juhi Chawla, Dia Mirza and Asha Bhosale (just to name a few) were present to bless the newly wed couple, whispers did the rounds as to why the brothers were absent. Ahana got married to Delhi-based businessman Vaibhav Vora in a part-South Indian, part-Punjabi ceremony. The wedding was preceded by an intimate ‘mehndi’ and ‘sangeet’ function.